It’s 1960s Mallorca. 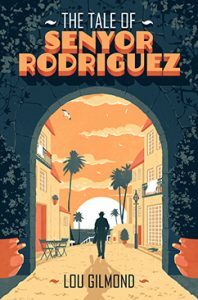 Thomas Sebastian, an English conman, is hiding out in the house of the late Senyor Rodriguez – carousing, partying, and falling in love with his beautiful but impossibly young neighbour, Isabella Ferretti. As the boundary between lies and reality blurs, Thomas’ fiction spirals out of control in ways that are quite unexpected.